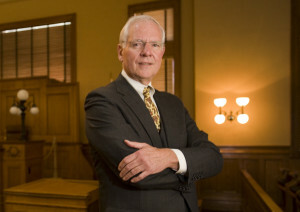 Geoff Shepard holds degrees from Whittier College and Harvard Law School. He was selected a White House Fellow in 1969 and assigned to the Treasury Department, where he worked under Paul Volcker, then undersecretary for monetary affairs. He left the Ford administration in 1975 and embarked on a thirty-five year career in the insurance industry, ultimately becoming senior vice president and corporate secretary of CIGNA Corporation, then senior vice president and general counsel of Reliance Insurance Company, and then President of the corporate division of Karr Barth Associates. For the past four decades, Geoff has arranged and hosted annual reunions of the Nixon/Ford policy planning staffs, consisting of former members of the Domestic Council, the National Security Council, the Office of Management and Budget and the White House officials with whom they worked. Beginning in 2010, Geoff has helped produce a series of Nixon Legacy Forums, which are documentaries focusing on President Nixon’s various public policy initiatives. The forums are co-sponsored by the National Archives and the Richard Nixon Foundation. They are usually broadcast on C-Span’s American History channel. Over three dozen such forums have been produced to date. Geoff’s first book, The Secret Plot, was published by Penguin Sentinel in 2008 and focuses on the political intrigue behind the successful exploitation of the Watergate scandal. His current book, The Real Watergate Scandal, was published by Regnery History in 2015. 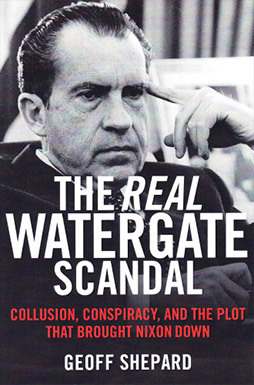 It focuses on judicial and prosecutorial abuse in the Watergate trials. Shepard also has a third book underway about the Pentagon Papers, the Church Committee and the Plumbers prosecution. Geoff is currently President of the White House Fellows Foundation and Association. He and Saundra, his wife of forty-five years, live outside of Philadelphia. They have two adult sons.